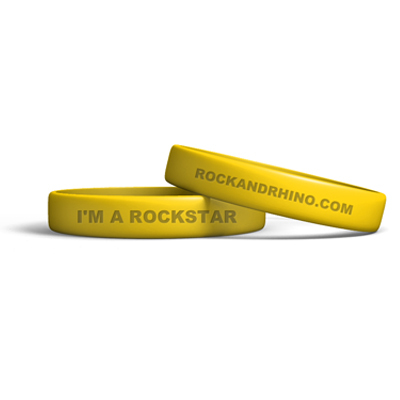 Rock & Rhino’s 100% silicone wristbands will not break or tear easily and can be worn for months or years with little to no wear! Don’t forget… ONLY the ROCKSTARS get to wear this WAY COOLEST HALO! Download our wristband sizing guide to guarantee your fit! Our silicone wristbands are purchased from reminderband.com and made of 100% industrial strength polished silicone. They are stronger and more durable than rubber wristbands or rubber bracelets. Rubber bracelets and rubber wristbands that are made of rubber break much more easily and wear out much faster than our silicone bracelets.